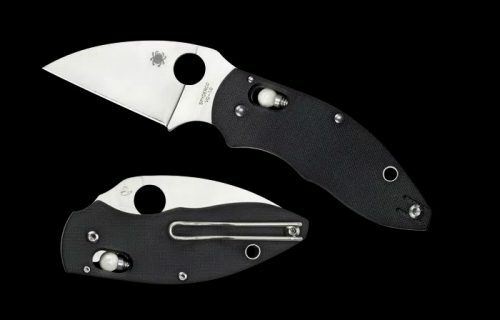 Designed by Spyderco’s Eric Glesser, the Q Ball is a highly functional, all-purpose folding knife that reflects the unique style of his iconic early designs, like the Dodo™ and Scorpius™. 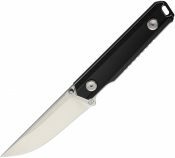 It combines an unconventional approach to ergonomics with a compact, exceptionally capable blade design to create a stylish, easy-to-carry knife that cuts with impressive authority. The Q Ball’s dramatic Wharncliffe-style blade is precision machined from VG-10 stainless steel. It combines a perfectly straight cutting edge with a beautifully executed full-flat grind to offer cutting performance far beyond its compact size. The blade’s index-finger choil allows a forward “choked up” grip for enhanced power and precision, while the fully accessible Trademark Round Hole™ offers outstanding leverage for one-handed opening with either hand. The handle of the Q Ball features skeletonized full stainless steel liners, a solid stainless steel back spacer, and textured G-10 scales that work in concert with an advanced ergonomic profile to ensure a positive, non-slip grip. 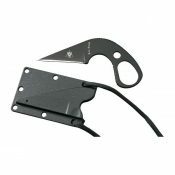 Linking the blade and handle is Spyderco’s Ball Bearing Lock—a patented mechanism that offers exceptionally smooth operation and extreme lock strength. In the Q Ball, this lock proudly showcases a white ceramic ball bearing, which is the inspiration for the knife’s name. A reversible deep-pocket wire clip offers a choice of discreet, left or right-side tip-up carry and keeps this remarkable cutting tool poised for action at all times.